Completely revised and updated, the new edition of this groundbreaking text integrates basic virology with pathophysiological conditions to examine the connection between virology and human disease. Most virology textbooks focus on the molecular biology involved without adequate reference to physiology. 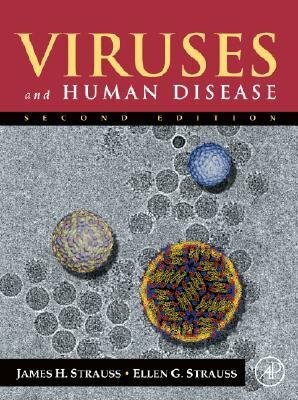 This text focuses on viruses that infect humans, domestic animals and vertebrates and is based on extensive course notes from James Strauss' virology class at the California Institute of Technology taught for over 30 years. Expertly depicting in color the molecular structure and replication of each virus, it provides an excellent overview for students and professionals interested in viruses as agents of human disease. * Includes a new chapter on emerging and reemerging viral diseases such as avian flu, SARS, the spread of West Nile virus across America, and the continuing spread of Nipah virus in Southeast Asia. * A companion website features illustrations for use in class notes and presentations.